Warning! 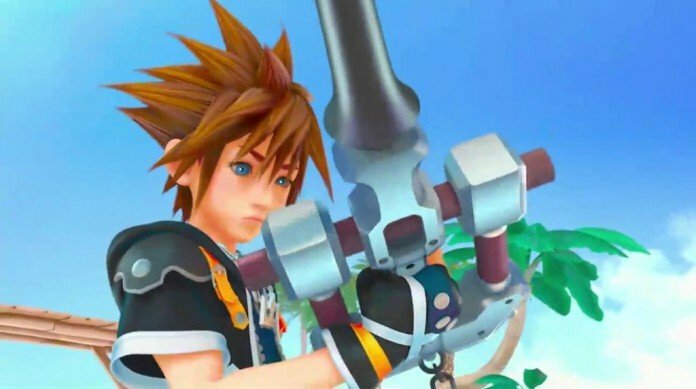 This article contains spoilers on the Kingdom Hearts series! You’ve been warned! Welcome to Part 2 of my Predicting Kingdom Hearts III series! Last time, I discussed the worlds that will appear in the game, and this week I will be discussing the plot. In this prediction, I will be breaking up the plot into five parts: Prelude, Act I, Act II, Act III, and the Epilogue. While I am primarily a script writer, this will not be a fully realized script, just more of an outline of the events I believe will occur in the game based off of foreshadowing and events from previous games in the series. So, that being said let’s begin our story years before the first game, during a time of peace. The game opens roughly 50 years before the events of the first Kingdom Hearts in Cable Town. This is where the scene between a young Xehanort and Eraqus playing chess from the E3 2015 trailer will take place. If you notice during that trailer, all of the chess pieces have a symbol representing a character from the game. The chess game is foreshadowing the final battle that will occur in the game and which characters will be fighting whom, but more on that later. After this scene between Xehanort and Eraqus, a scene will occur recapping the events of the series so far. Then there will be a CG intro with a new song by Hikaru Utada. Picking up right where Kingdom Hearts: Dream Drop Distance left of, Yen Sid is telling Kairi she is a Keyblade wielder. This is a very rare and strange case considering she is already a Princess of Heart. She is told she will be trained along with Lea (formerly Axel) and this is where the tutorial will take place. The tutorial will be played as Lea and Kairi as they practice with Yen Sid trying to teach them. After the tutorial, Sora comes back from the Dream World, which he went back to at the end of KH3D. Sora then goes to the top of the tower to meet with Riku, Kairi, Donald, Goofy, Lea, Mickey, and Yen Sid. This is where the group gets broken up and assigned different objectives which will take up the first chunk of the game. Sora, Donald, and Goofy are in charge of finding Ventus, who unknown to everyone besides Aqua, is inside Castle Oblivion. Riku and Mickey are responsible for going to the Realm of Darkness to find Aqua. Lea and Kairi will stay with Yen Sid to continue their training. During their journeys both groups have to find the Princesses of Heart again to help for the final battle. With their goals now set, they head off on their journeys. Sora, Donald, and Goofy start traveling the worlds on their gummy ship. They search various worlds to try to find leads that will reveal where Ventus is, but it is unsuccessful. Their search leads them to Twilight Town and the mansion, which has been blocked off since the events of the second game (proven since the path to the woods/mansion has been paved over as seen in the E3 2015 and D23 2013 gameplay trailers). In the mansion they find a hologram recording of Ansem the Wise where he reveals he found Aqua, and recounts that they escaped the Realm together much like how Riku and Sora did at the end of Kingdom Hearts 2. Meanwhile, Riku and Mickey have been in Radiant Garden, which is getting closer to its original state from Birth by Sleep. They are working with Cid, Leon, and Yuffie to find a way back into the Realm of Darkness. They ultimately do and begin their search before Sora gets back to them with the information that Aqua escaped months ago. After searching, they realize there’s no way to effectively search the Realm, so Riku opens a Corridor of Darkness that takes them back to the Mysterious Tower. Back in the Mysterious Tower, Kairi starts getting sassy that besides her, none of the Princesses of Heart have been gathered. She insists that her and Lea go on the search as well while Riku and Sora look for Aqua and Ventus. Yen Sid disagrees with them since they are not experienced, but lets them go due to necessity. For this time, Lea goes back to using his original weapon, the Chakrams. Later, when Riku and Sora return to Yen Sid with Mickey, Donald, and Goofy, they apologize to Yen Sid for not returning with who they were looking for. After the apology, Kairi walks through the door with Aqua and the rest of the Princesses of Heart. She was able to find Aqua due to a connection they made when Kairi was just a toddler. Aqua is now older and wiser, and takes charge of the group from Yen Sid. She reveals how Ansem the Wise helped her escape the Realm of Darkness. Ansem the Wise, however, is still left behind. She reveals to the rest of the group that Ventus is inside Castle Oblivion, but she is unable to get back to where he is. The only person who would be able to help get to him is someone that was born inside Castle Oblivion. Everyone is upset, because no such person exists. At this moment of hopelessness, Lea remembers something: Xion. Well, he doesn’t remember her, because his memories of her are lost since she died, but he remembers the Organization constructing Sora clones/puppets in Castle Oblivion. To get access to this individual, Mickey and Riku use their Keyblades to open up Sora’s heart. From his heart sprouts not only Xion, but Roxas and Namine as well. Suddenly, Lea gets emotional because he is seeing Roxas again. Then both Lea’s and Roxas’ memories of Xion start rushing back. From here on out Namine and Xion guide everyone to Castle Oblivion to find Ventus. After searching through the Castle and revisiting memories of worlds from the previous games, they finally reach Ventus. Aqua awakens him and they bring him back to the Mysterious Tower. Now that he is back, the group realizes there is no way to bring back Terra besides destroying Terra-Nort. With the group back together, they begin training for the final battle against the 13 Seekers of Darkness. After the battle, the Seekers of Darkness are destroyed, Terra will return to his normal self, and Xehanort will reveal that the chaos of the battle opened up Kingdom Hearts. Xehanort will then take on a final form and Sora will follow him to Kingdom Hearts alone. They will fight. Sora will win. After Sora wins everyone goes back to their homes. Aqua will unseal Castle Oblivion and return it back to being the Land of Departure. Her, Ventus, and Terra act as the new masters of the world and train new Keyblade wielders. The Princesses of Heart will return to their original worlds. Lea, Xion, Roxas, and Namine will go to the Clock Tower in Twilight Town and share sea-salt ice cream with Hayner, Pence, and Olette. Mickey, Donald, and Goofy will resume their normal duties at Disney Castle. Lastly, Sora, Riku, and Kairi will go back to the Mysterious Tower where Sora will officially be dubbed a Keyblade Master. The game fast forwards a few years. Sora is now in his mid to late twenties (that way his voice actor, Haley Joel Osment, will be age appropriate to continue voicing him) and he is talking to a teenager. Riku and Kairi are there watching. Sora is going through the ceremony that will grant this kid the ability to wield a Keyblade. After the ceremony, the kid summons his own Keyblade, and it resembles the one that Eraqus once used. This kid, Sora’s trainee, will be the protagonist for the series going forward. So that was my prediction of the main events of Kingdom Hearts III, hopefully it didn’t sound too much like fanfiction because that wasn’t what I was going for. Feel free to comment on what you think will happen and whether or not you agree with me. Also, I didn’t write this entirely alone. I had some help from my amazing friend Christine, so if you want, give her some love at her YouTube account Sheiks65. Lastly, keep watch next week when the last part of this prediction series will be published where I will predict the release date and features of the game.